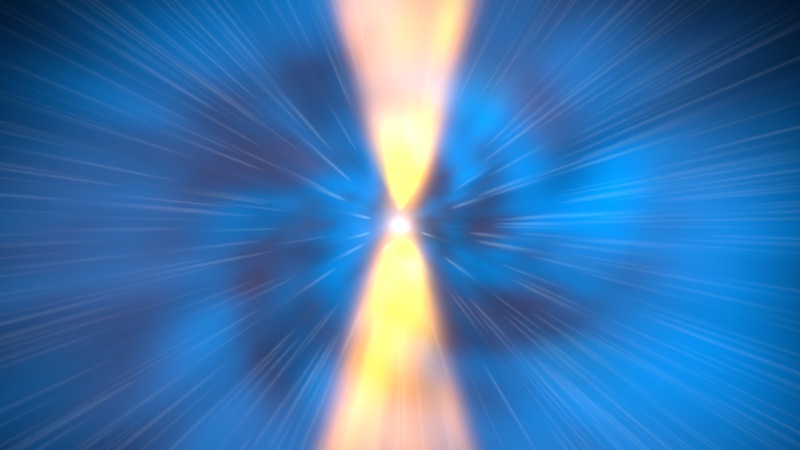 The supermassive black hole at the center of one galaxy may explain its unusual structure. 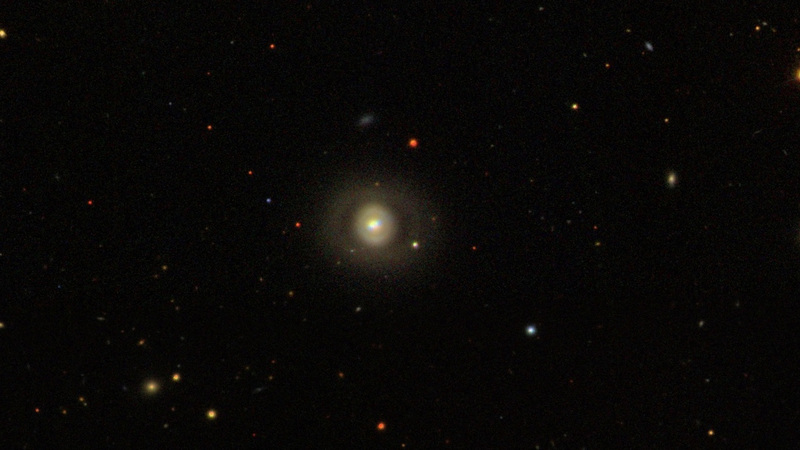 At the center of the galaxy Markarian 573 sits a supermassive black hole. 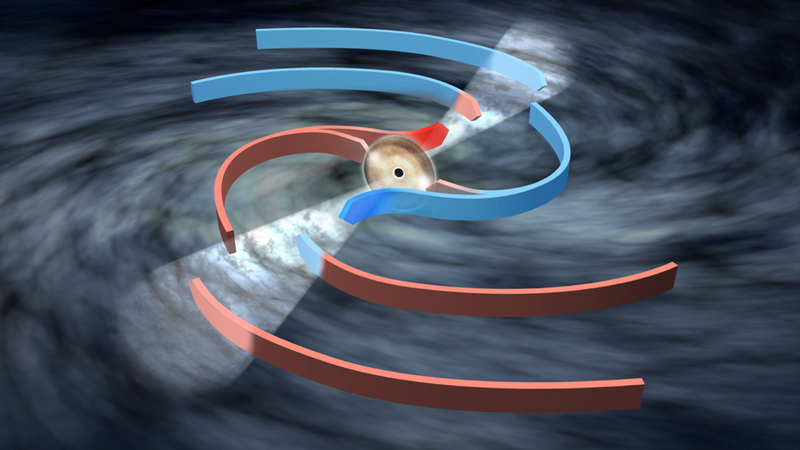 The black hole pulls matter towards it, and this material produces high-energy light as it's gobbled up. This light, however, has a hard time escaping. It’s blocked by a dense ring of dust and gas surrounding the black hole. Light can only escape through cone-shaped areas above and below this ring. These cones of light give the galaxy's inner region its signature hourglass shape as seen by NASA’s Chandra X-ray Observatory. 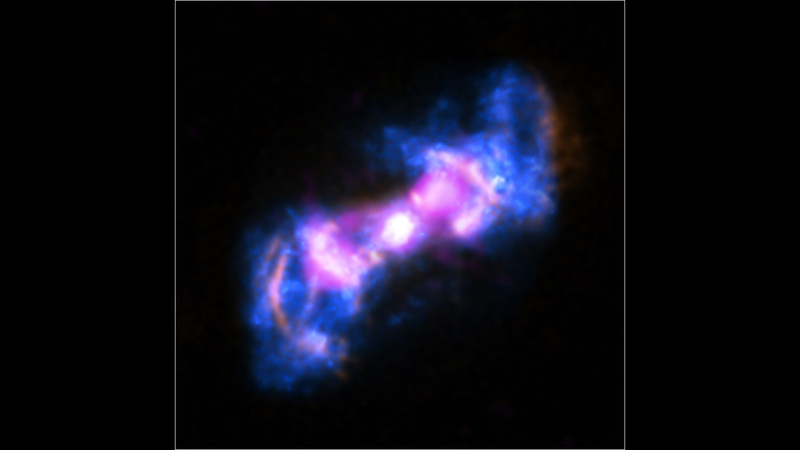 Gas clouds orbiting around the galaxy become electrically charged when they pass through this powerful emission. Gas less than 2,500 light-years from the black hole accelerates away, forming fast-moving outflows. Farther off, the gas becomes charged but stays in the galaxy's disk. This "feedback process" may help scientists understand why galaxies like Markarian 573 have such an odd structure and unusual gas motions. Watch the video to learn more. 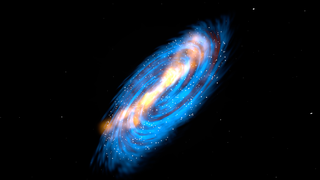 Gas in the galaxy’s spiral arms interacts with light produced near the black hole at the center, affecting the gas flow. Markarian 573 is an active galaxy located about 240 million light-years away in the constellation Cetus. The black hole at the center of Markarian 573 is encircled by a dense ring of dust and gas. Light escapes from areas above and below the ring. 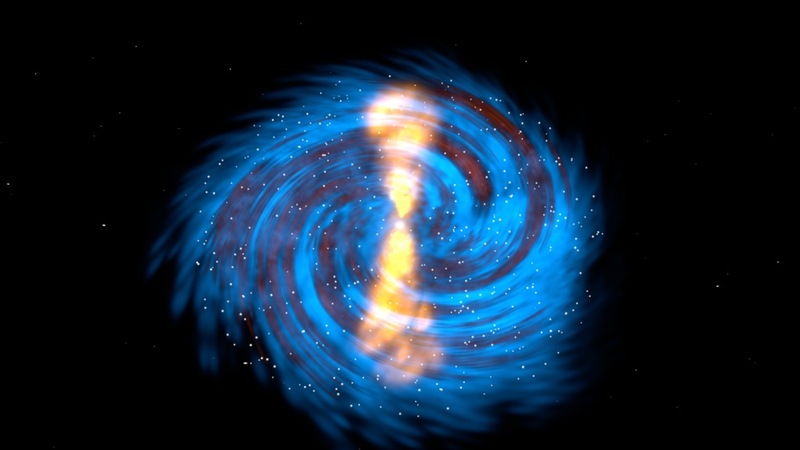 Two cones of radiation stream away from the black hole at the galaxy’s center, interacting with gas clouds in the spiral arms. 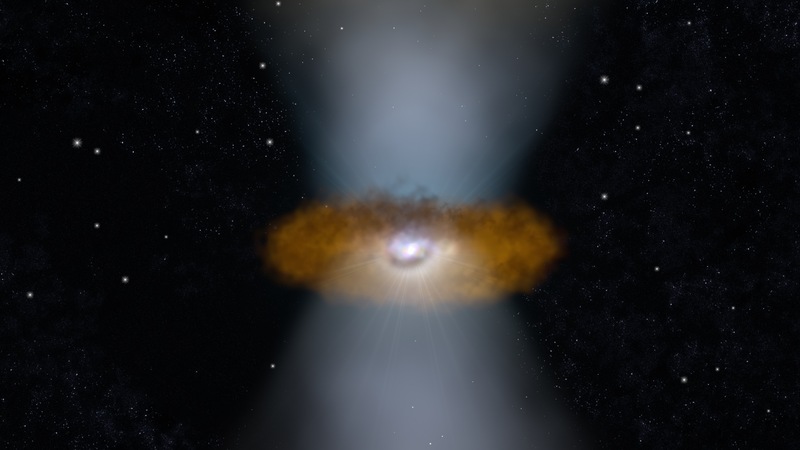 The black hole's high-energy light ionizes galactic gas. Closer to the black hole it speeds out of the galaxy; farther out it stays in. This composite view of Markarian 573 combines X-ray data (blue) and radio observations (purple) with a visible light image (gold).